Director: Jason Reitman. 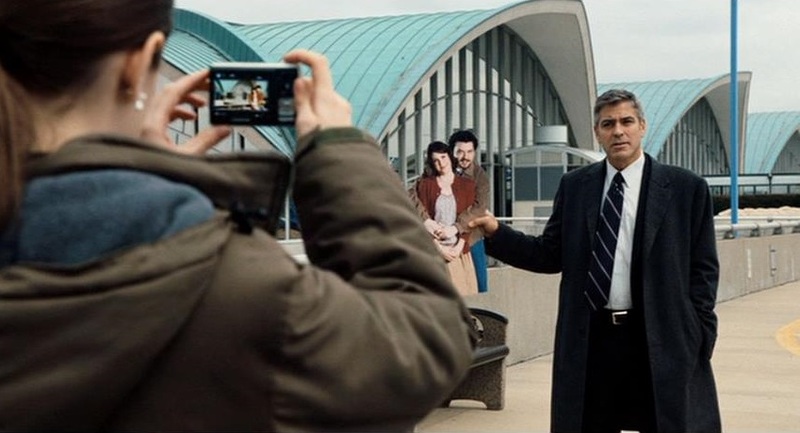 Cast: George Clooney, Vera Farmiga, Anna Kendrick, Jason Bateman, Amy Morton, Melanie Lynskey, Danny McBride, Zach Galifianakis, J.K. Simmons, Sam Elliott. Screenplay: Jason Reitman and Sheldon Turner (based on the novel by Walter Kirn). Twitter Capsule: Rich, even ambitious adult drama discombobulated by clumsy stabs at addressing zeitgeist. Revealing disarray at end. VOR: ③ Post-recession thematizing, however ham-handed, shows some effort. Adult POV is nice. Actresses on fire. Key Clooney film.